​Dr Barnabas Sang,The County Executive of Uasin Gishu in charge of ICT today visited Tinderet,Nandi to mobilize Voter Registration and seek the Residents to vote him as the Governor of Nandi County,He is Vying on a Jubilee Party Ticket. Dr Barnabas Sang’s entry is expected to tilt the gubernatorial race which had previous been billed as a three-horse race between Lagat, Former Agriculture CS Felix Koskei and Former Industrialization Minister Henry Kosgey, due to their deep pockets. However, according to political pundits, the CEC is viewed as a fourth force in the race, due to his perceived strength for being courageous and energetic with a clean and untainted record. He has also carved himself an unrivalled niche with his oratorical prowess, humility and ability to mingle freely with residents who now relate with him. 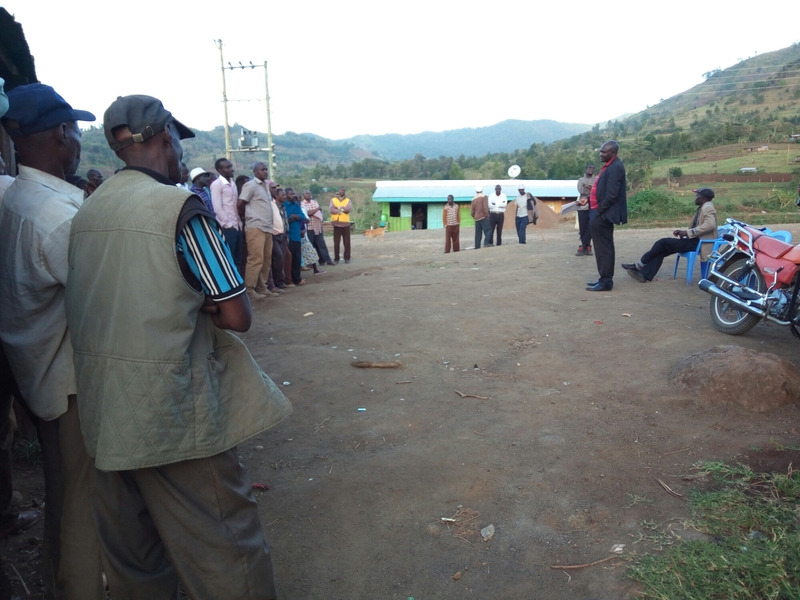 He also promised to ensure that there will be an equitable distribution of Resources and Function’s of the County Government in all the Six Sub counties,Public Participation in all events matter’s of The County Government shall be used to ensure that the Locals make decisions effects of their Functionability. He promised also good governance, Equity,Empowerment and Infrastructural Development. Dr Sang ,will face off with The Incumbent Dr Cleophas Lagat,Former CS Felix Kosgey,Henry Kosgey and Silas Kipruto.